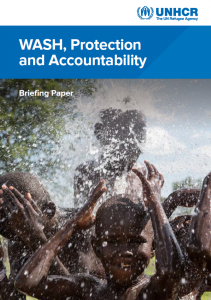 This document describes UNHCR's five principles linking WASH, protection, and accountability. It highlights the protection and accountability challenges that relate to WASH issues in refugee contexts. The document also provides case studies to high these principles in action and a checklist that can be used for safety and security.